Sports fans are, I’m sure, already aware of the fight that broke out between Indiana Pacers players and Detroit Pistons fans on Friday night in Detroit. Ron Artest, the Pacers player at the center of the controversy, has already been in trouble this year for allegedly putting his record label before his basketball contract, as well as for a controversial flagrant foul which the NBA overturned. Jon and I attended the game immediately preceding the fateful one, here in Indy against the Atlanta Hawks. While Indiana won, it was a close match, with Atlanta leading for the majority of the game. Given Atlanta’s record (two wins, five losses–the mirror image of the Pacers record), I had expected the game to be fairly one-sided. It was clear then that the Pacers were not operating at full strength; the loss of their last three starters still able to play will, I fear, gut the team. Not that the team hasn’t already, it seems, been gutted of the one thing I consider most important: their integrity. The Pistons have had a long reputation as the NBA’s bad boys, with the Pacers often held up in contrast. Have those times come to an end? I would rather see the loss of players like Artest–and the accompanying game losses–than to see the home team of the most basketball-crazy state in the USA degrade so. Good players are easier to find than good reputations. Target has implemented a nationwide policy to ban the Salvation Army bell ringers from the front of their stores. The cited reason: they found it inconvenient to not allow other charitable organizations to do similar fundraisers outside their stores. That would never do; after all, one reminder to be kind to the unfortunate is bad enough, but two or three would be simply inexcusable. Why, people might be persuaded to give their money to someone besides a Target cashier! And what kind of Christmas would it be without a spectacular holiday retail boom? Humbug! We have already been reluctant to shop at Target because of their atrocious return policy; in particular, because of this policy, we never inflict Target-bought gifts on people. While return fraud is a problem for all retailers, Target’s inflexibility has puzzled me; one of the reasons stores tend to put up with a level of fraud is to avoid alienating customers, something their policies have done on several occasions. With this new policy, I’m convinced that their inflexibility is just a manifestation of the management’s irrational need for control and uniformity. They got in trouble a few years ago for refusing to donate to a veterans group because their policy required that all groups jump through a set of bureaucratic hoops before receiving charitable contributions. (Ironically, the corporate office did support that particular charity, but they destroyed all credit they might have gotten with their ham-fisted approach.) They seem to be forgetting that their policies and procedures have goals, and that the goals, not the policies, are what you should strive to preserve when things don’t work out the way you thought. Target is jerking their support of the Salvation Army during Christmas, in a way that doesn’t even save Target money, during a fundraiser that is responsible for 70% of the Army’s budget. In my eyes, when it comes to hard-heartedness, Ebenezer Scrooge doesn’t hold a candle to these guys. Next time you think about shopping at Target, ask yourself which of these services you think should take the hit for the $9 million of the Army’s budget they think they’ll lose because of Target’s paranoia, and then make your way to a Wal-Mart or K-Mart instead. And on your way in, listen to the bells ringing, and drop a little extra into that kettle. I’m sure they could use the help. UPDATE (2004-11-20): Hugh Hewitt says it better than I; go read it. James Lileks is not convinced, probably because he’s a huge fan. I will admit that my previous attitude towards Target certainly inclined me to this decision; I’m not sure I would have shopped there anyway. But Target is the closest department store to us, and convenience has overcome our attitudes before. I’m no retail wizard, but it doesn’t seem smart for them to foster more bad impressions among their customers. Eugene Volokh has some harsh words for Jimmy Swaggart. As usual, Swaggart deserves the criticism he gets. Volokh also seems to be under the impression that Swaggart is a “Christian leader” in some meaningful sense, even after his defrocking in the late ’80s by the Assemblies of God over his defiant attitude and his dalliances with prostitutes. In E-mail, he counsels me that “it’s not hard” to simply repudiate him. Well, so be it. Everyone who remembers my denunciations of Swaggart over the past 17 years can rest easy; I really meant all of them. And the next time Swaggart says something stupid, I will still have the same opinion of him. Southerners today are not expected to monitor and disclaim all the rants of the Klan, because we’ve all moved on; we’d like it to be the same with Christians and Swaggart. Thus, we don’t disclaim most of what he says because we’ve stopped paying attention; we’ve stopped paying attention because we’ve moved on, and we hope everyone else has, too. But I could be out of touch. Can anyone find a religious organization, other than his own, which recognizes his authority today? UPDATE: Volokh has posted again on the situation, where he explains a bit further. Apropos of that, it’s interesting that a search of the cable service in my area shows no hits for “Swaggart”, which seems to indicate that Swaggart does not, in fact have any TV presence worth speaking of. UPDATE 2: Volokh notes Christianity Today’s own denunciation of Swaggart, and engages in a little hermeneutics of his own regarding Leviticus 20:13. Christians researching the homosexuality issue should focus on New Testament references, if only because Jesus warned against a strict, legalistic adherence to the Mosaic Law; none of these references give believers the right to kill the immoral. UPDATE 3: Looks like this is getting some traction. See Joe Carter, Winds of Change, and Rob Vischer, among others. Confusion still seems to reign regarding his status as a recognized minister. Oh, and Swaggart himself sort of apologizes, for what it’s worth (not much, IMHO). Besides the usual weblog text updates, he has a photo gallery set up (using this software). So check it out, and pray for him and his family. Via Instapundit, we learn of two recent horror stories, here and here, involving CompUSA. As Donald Sensing points out, this is sometimes as much an individual store thing as anything else. On the other hand, I’ve had my own share of problems with them. Mine, however, involve something worse–upselling, with accompanying defamation in some cases. On one occasion, a neighbor asked me for my opinion on what to buy for a memory upgrade. I examined the memory in the computer and wrote down the exact quantity and speed to ask for. A few days later, I saw him again; he gave me a funny look and told me that he bought something different on the advice of the sales clerk. Upon questioning, it turned out that the sales clerk had taken my recommendation, told my neighbor that I didn’t know what I was talking about, and sold him some dual-speed memory at twice the price. I told my neighbor that he had been tricked, but he decided to stick with what he had, since it seemed to work. Later, I had opportunity to buy memory for myself, and decided to check out the situation. The back shelf had all their memory laid out, with prices; after an exhaustive search, I located the memory I needed (on a bottom shelf, somewhat well-hidden), and asked the clerk to give it to me. He replied that I should probably buy something else that should work much better: yup, dual-speed memory, at nearly twice the price. I literally had to argue with the young punk behind the counter to get what I wanted, and nearly walked out on him; he gave me the dire warning that the memory was likely not to work as he handed me the package. As of this writing, that memory has been working perfectly for over a year. Some people have mentioned Best Buy. I’ve had mixed results from them. Their habit of rebating everything is irritating, and I’ve had one rebate refused for missing some portion of the magic pixie dust ritual they make you go through. On the other hand, I bought my current laptop from them; the first model was busted out of the box (probably a short in the sound card circuitry) and they just exchanged it with very little hassle. When they heard I was planning to run Linux on it, they even found a resident Linux tech expert to consult with me, which was far more respect for Linux than I’m used to. Between these and Circuit City (who completely melted down in the face of an exclusive distribution agreement to sell a white-hot item, something most retailers would kill for), I’m not sure what to do about the current sorry state of electronics vendors. UPDATE (2007-12-09): Commenter JD wrote, “I am amazed every day that they are able to stay in business.” Well, wonder no more. These days, a partisan Congress would never agree to a Texas carve-up, since any resulting new states would surely be politically conservative. But Congress need not take any action at all today: It granted its consent to Texas’s potential subdivision 159 years ago. It’s as well that their proposal is a bit tongue-in-cheek, because the good law students have their history wrong. The authorization Congress granted was acted on at the time. 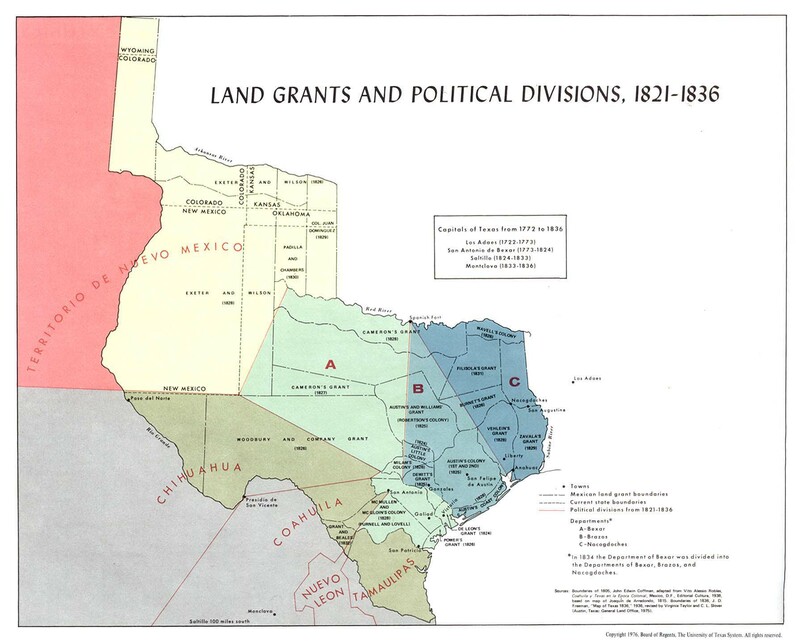 The borders of the Republic of Texas, as annexed by the United States and as fought over in the Mexican War, were greater than the current border of the current state of Texas. This map shows how the territory claimed by the Republic was eventually divided: one full state of Texas, plus portions of Wyoming, Colorado, Kansas, Oklahoma, and New Mexico. Astute readers will note that this makes for a total of six states, not four, and that the territory of Texas ended up yielding only one full state. Does this mean that the old Congressional authorization is still valid? I doubt it; the explicit reference to “territory” is good evidence that the authorization only extended to the creation of new states, not the subdivision of existing ones. Plus, while “portion” is still accurate when talking about New Mexico, it’s clear that we’re talking a Texas-sized portion when compared to the state in its final form. Of course, all of this is in fun; I don’t expect even Texas Republicans will take this seriously. But even in fun, historical accuracy is important, especially when writing for such a high-profile publication as the Wall Street Journal. A while back, Orin Kerr from The Volokh Conspiracy posted a story about how the Census Bureau provided the Department of Homeland Security with profiling information on Arabs. The New York Times and Reuters implied that this was a disturbing privacy intrusion, without mentioning that the data is publicly available, and that anyone can perform such queries themselves if they wish. It turns out that this information was in the original article, but was removed by an overly aggressive copyeditor, who apparently considered this fact to be unimportant to readers of the Times. How can we know which blogs are accurate, [and] which are not? Should we depend on a blog of blogs to steer us in the right direction. Judge for yourselves who was steered in the wrong direction, and who did the steering. Background: Michelle Malkin has written a book about the forced removal and internment of people of Japanese ancestry from the West Coast during the Second World War. In the book, she questions the conventional wisdom, saying that the internment was at least partly justified. Several people are not amused with this, the most notable being Eric Muller, who posted a series of critiques while guest-blogging at The Volokh Conspiracy (start here and scroll up for all ten parts). Malkin has responded, and Muller has continuted the discussion on his own blog. I’m sure the debate isn’t over as of this writing, so there may be more. First of all, if you’re a history buff, or if you think about how to deal with radical Islamists in this country, you really should read the whole thing, including Malkin’s posted motivations for writing the book. I knew very little about the incident before this debate started, and I am getting a first-class education into the details by following the points being debated. I have to say that I’m not convinced that Malkin is right, or that the standard view of the Japanese internment is wrong, at least not yet. But before today, I certainly wasn’t letting this incident affect my views on current events, such as the question of tolerance for Muslim minorities here. What was really disappointing, though, was this reaction from Larry Lessig. While I disagree with Professor Lessig on many things, I also agree on many others, and have come to respect his scholarship especially on issues of copyright law and freedom online. I had come to expect better from him. But there is more than historical accuracy or the career of a silly journalist at stake. The role of the Constitution in wartime is defined by a consensus that Korematsu was wrongly decided. Thankfully, that consensus is unlikely endangered by this soon-to-be-forgotten leaflet. If you want to be radical, you have to actually be good. This in a post with no links to Malkin and no discussion as to why this consensus is so vitally important that it must not be questioned. Instead, such questioning is merely evil; better to live in unexamined error than to jeapordize our beloved dogma. But there is more than studio profits or the career of a silly professor at stake. The role of copyright in modern society is defined by a consensus that Eldred was rightly decided. Thankfully, that consensus is unlikely endangered by this soon-to-be-forgotten leaflet. If you want to be radical, you have to actually be good. This is why we should not be afraid to question received wisdom, and why Lessig’s arrogance beats Malkin’s irreverence as the far greater sin. My fond hope: that this is an aberration in an intellectual life I have otherwise found compelling, and even world-shaking. UPDATE: It appears that Tim Wu, not Larry Lessig, posted the story on Lessig’s blog. My apologies to the good Professor. Slashdot highlights the ongoing problems with online registration for “old media” sites, such as the New York Times. They mention a Wired article on the subject (see also this article by the same author), which led me to this blog entry. The basic idea is that people are avoiding registration sites, or using tools like BugMeNot to fake out the registration systems, both for privacy concerns and because people find it impossible to keep track of all the accounts. It’s certainly true for me, what with the three or four browsers I switch between, the three-plus systems I find myself on, and my annoying habit of busting my browser configuration on a regular basis. Why go through all this effort to read an occasional story linked from an interesting blog, especially when the blog will usually give me a helpful summary and thought-provoking commentary on its own? In this article, Clay Shirky talks about classified ads, among other things. Classified ads are very local, but they can also benefit from efficiencies that come from centralization. On the Net, it’s easy to do both. The result: classified ads are starting to centralize, and local classified sections are likely to suffer. News is the same way. All news is local, at least in the sense that it happens in one place. Yet it also benefits from centralization, for its own reasons. We want to pay attention to news in our own locality, and we also want someone to look at all the other localities and highlight the stuff most important to us. In times past, you had to be a big company to do that, because you needed a broadcast license, or you had to pay for paper. Big Media still acts that way. In a sense, they have to, because it’s very difficult to scale down a big organization. So, they feel they have to extract value from their readers through things like registration and intrusive ads and so on, and they feel that the news is still somehow their domain, as if they create the news in some way that your neighbor whose aunt was in New York on September 11 doesn’t. But if all news is local, why can’t we rely on local people to cover the stories? And if we don’t need big expensive broadcast licenses or bales of paper to act as aggregators and filters anymore, why do we need news organization cruft? And it’s now, when people like me are thinking that we don’t need news organizations as much anymore, that these same news organizations are looking for new ways to exclude us. Why, I can’t gather. Will they be happiest when no one reads them anymore, because they can get the same thing better from people like InstaPundit? Somehow, I doubt it. Christian Heritage displayed everywhere in Washington. It is so nice to know that there is still so many Christian items like the Bible that are still on display in Washington. In a CBN news article they describe many Christian items around Washington that many people have either taken for granted or have not noticed. We currently drive a 1997 Dodge Grand Caravan SE. When we bought it we thought it was great. There is still alot to love about this paid off van of ours. It is very roomy for me being over 6 foot and Jeff being about 6 foot. We also have 2 kids in grade school and usually 1/2 a pack of boy or girl scouts that we occasionally carry around. I recently had a chance to see and sit in a brand new 2005 Dodge Grand Caravan SE. You know the one they advertise that has the seats that fold down into the floor to give you more room. Well I hate it! First of all I have to do acrobatics to even get in the dang car. The head and foot room in the front have decreased by what seems like 6 inches to me. That does not seem like alot to a normal 5 foot something person, but imagine adding another foot and half to your size. Well to get in the door with the seat all the way back, I must tilt my head and shoulders to the side so much that I look as I might be doing some kind of 90’s break dancing. Not very graceful for a mom of 2. I then tried to sit in what they call the captain chairs in the second row. Captain who? Are these seats built for some captain in the Sponge Bob cartoon. (Don’t even get me started on that show). Well anyway, I sit in these and I am thinking these must be a built in car seat. The back of the seats head rest hit me right between my shoulder blades. I am a pretty skinny person and I look down and the seat has disappeared under my legs. Where did it go? I can’t believe that the seat that is about as long as my mid length shorts for the seat part is not even visible. I don’t know how a person would ever be able to put a full size car seat on that seat. I am afraid it just would not hold it. Oh, and for all the moms that like to go through the front middle seats to walk back to the middle or back seats to get something for the kids while someone else is driving, forget about it. They put in a 2 foot console that is good for nothing but a few cds. They blocked the path to get back to the back. Why I am going on and on about this van, is that we own the 97 version of this van. I thought the 2005 would have the same room and some pretty cool features. Nope they have made a mistake with this van. Not that we would even buy a Chrysler again. Here is a list of reviews that we totally agree with about needing to fix the brakes all the time, power anything is ify at most, and the list of repairs that are usually needed for this model go on and on. I just hope we don’t crash our van anytime soon, and that we can make enough money each month to cover the mortgage and the repair bills for this van. The number one piece of advice I give everyone who asks me to fix their computer, or whom I care about (family, close friends) is this: Switch from Internet Explorer to Mozilla Firefox, even if you haven’t noticed any problems yet. Following my own advice, I don’t allow the use of IE within my own home except when absolutely necessary. Some people who hear this think I’m going a little too far. Sure, non-techies should switch, but those people who know how to lock down their system should be OK, right? Surely I have the technical know-how to make Internet Explorer safe, right? Security researchers warned Web surfers on Thursday to be on guard after uncovering evidence that widespread Web server compromises have turned corporate home pages into points of digital infection. The researchers believe that online organized crime groups are breaking into Web servers and surreptitiously inserting code that takes advantage of two flaws in Internet Explorer that Microsoft has not yet fixed. Those flaws allow the Web server to install a program that takes control of the user’s computer. Meanwhile, the average Internet surfer is left with few options. Windows users could download an alternate browser, such as Mozilla or Opera, and Mac users are not in danger. By the way, number two is: don’t use Microsoft E-mail clients for mail. Why? Well, they rely on Internet Explorer for too much of their functionality, and at least one client (Outlook) is famous for its own porous security protections on top of IE’s. You’re a lot better off using Mozilla Thunderbird, Eudora, Pegasus Mail, or some other mail client not made by Microsoft. Check out 30 days to a more accessible weblog, by Mark Pilgrim. I don’t identify my language. No special link tags, either, although WordPress does provide a link to the archive that contains the post. I do have some acronyms defined, but I removed some for RSS when looking into adding Atom feed links. Bad me. No accessibility statement beyond this post, which is inadequate. Not bad. I was impressed that certain things seem to be done right. Nevertheless, there’s still room for improvement. If anyone notices anything I missed, post a comment. This is one of the teams pursuing the Ansari X Prize, a $10 million bounty to the first private organization that can launch a vehicle into orbit with passengers twice in two weeks. This trip had no passengers, and thus did not qualify as a first run for the X Prize; it is a significant milestone nonetheless. UPDATE: Oops! The X Prize doesn’t require orbital flight, but suborbital space flight (62 miles or higher). I knew that, but must have committed a thinko when writing it up. Dave Winer, the founder of UserLand, got in over his head when trying to deal with weblogs.com, the weblog hosting service he’s offered for free for several years now. So, he administered the coup de grace, without warning. As can be expected, this generated a lot of responses, not all of them nice. But this isn’t entirely personal. Dave isn’t just a guy doing a favor for the world. He’s a self-proclaimed weblog authority. And he’s a guy with a plan: to build out the Semantic Web with SOAP, RPC, XML, and above all, with RSS. He wants RSS to be universal; he’s out there stumping for his design, and trying to convince us all that he should be calling the shots, that his baby should be the standard. He sounds off on RSS all the time; he tells us how RSS ought to be; he blusters about public use of his words; he suggests the elimination of rival formats. At stake in all of these is his professional credibility. In all the debates I’ve seen Dave get involved in, I haven’t come away with a good impression. I watched the RSS 2.0 standardization effort devolve into a flamefest, with everyone trying to figure out what the hell was going through Dave’s mind, and being chastised when they guessed wrong. Atom was the final, frustrated response; in fine open-source tradition, the community forked when it became clear that the current maintainer for an important technology was screwing up. Since then, Dave has mostly alternated between slamming Atom and arguing for a merger with RSS, not getting that his own inept communication was the main barrier between the Atom and RSS groups. His current problems with weblogs.com illustrate his attitude perfectly. Having provided free hosting for all this time, he could easily have traded some goodwill for a little technical help. Even now, he has received a ton of unsolicited free advice, pleas to reconsider, and offers of help. Barring that, he claims that the very act of trying to keep the service up just enough for people to retrieve their data was too much for him. Warnings would have been ineffective, he claims. Worse, his first announcement was made by hijacking all the hosted blog pages, and his second was made by posting an audio clip on an unrelated site; Doc Searls was forced to do the real explaining. Finally, the comment page where people were to ask for their data back, a threat: any negative posts will be deleted. You can guess the tone on that thread: very respectful, very considerate, and very fearful. Does Dave enjoy being feared? All in all, this vindicates my general distaste of technology that’s too strongly controlled by one person or group, especially when that person or group is not trustworthy. I don’t wish Dave Winer ill; neither do I consider him a bad person for having shut down weblogs.com. I simply see this as another example of his prime failings: pride in his achievments, disdain for anyone who challenges him, and an uncooperative nature. Let us hope that he learns from his mistakes, or at least fades into an obscure retirement. Steven Den Beste has a fascinating article on the ethics of owning slaves programmed/brainwashed to desire slavery, motivated in part by musings on the ethics of owning sentient computers in the future. And it is hard to see how the eventual owner of such a voluntary slave could avoid carrying any of the ethical stain. I think it would also be immoral to own such a slave. On the contrary, in a society with a permanent slave class, it is entirely possible to own a slave honorably. As an ethical slaveowner, you will treat your slaves better than the slaveowner down the block will, and since the poor slaves can’t escape their condition in any meaningful way, the best the slaves can hope for is for you to keep them. Such rationales were used by many antebellum Southerners who kept slaves, on the theory that free blacks were very likely to be kidnapped and re-sold into slavery (something that did happen far too often). Of course, such an ethical slaveholder would also work like mad to abolish such a horrid institution as a permanent slave underclass. Write a contract freeing the slave, but make the contract conditional on the slave’s acceptance of the deal. Sign the contract, and give the paper to the slave, complete with space for him/her/it to sign. From that point on, treat the slave as a full-time, live-in employee. This improves the slave’s conditions to nearly perfectly mirror those of voluntary employment, and give the slave the power to confront his/her/its tendencies towards subservience at his/her/its own pace. We don’t need any such gyrations in current society because slavery of any kind is currently illegal and/or impossible, which is clearly the optimal ethical case. For suboptimal cases, though, there are often hard problems and trade-offs; failing to respect those can create new injustices. An old post by Jane Galt (linked by her more recent post here) basically sums up my position on global warming. Executive summary: The shrillness of the debate and distortion on both sides make it impossible for non-experts (which make up nearly all of us) to know either if there’s a problem or if there’s a viable solution. UPDATE: This is also a thought-provoking page, though I don’t necessarily claim it’s correct. Matt Welch’s comment is actually scarier. Firing a teacher for teaching the source of a Shakespearean allegory is stupid, and chills teachers who want their subject matter to be interesting. Firing a teacher for explaining the causes of the Holocaust is dangerous as well as stupid, since ignorance is the best weapon of demagogues against a decent people. For those of you just joining us from the old site, welcome to the new site. Comments are welcome here for the “Resurrection Redux” post there.